We worship together every Sunday at 10:00am. 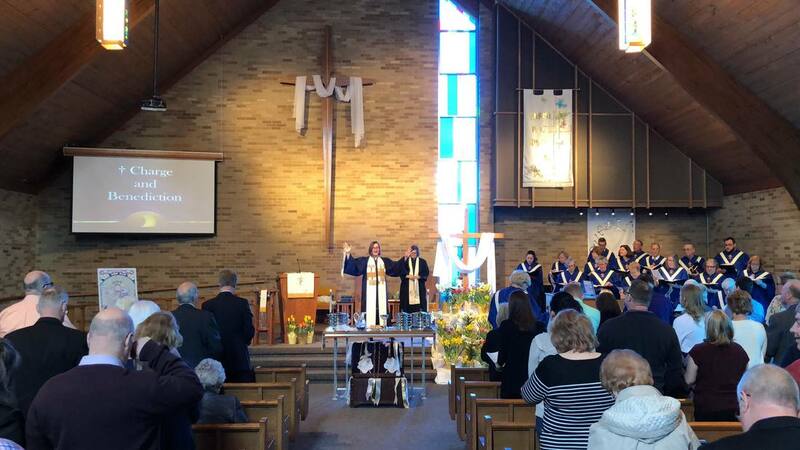 Our worship service is traditional with a comfortable style and a variety of musical genres. Communion services are generally held on the first Sunday of the month. Our communion bread and juice are gluten free, so that all may partake of the sacrament. Our worship space is fully accessible to worship-goers and worship-leaders. Children begin in worship and then are invited to attend Sunday School after the Time with Children, except on the First Sunday of the Month (Communion Sundays) when children start in Sunday School and come in for a Time with Children and to receive communion. A nursery is provided for infants and children through age 4. We invite you to join us for coffee and conversation after worship.